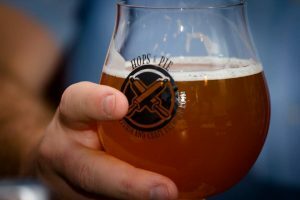 The Denver Beer Beat is a weekly roundup of brewery openings, special tappings, firkins and one-off batches, bottle releases, dinners, pairings, and more happening in the Front Range and beyond. Be sure to check in each Wednesday to discover anything and everything happening around Colorado’s beer scene. 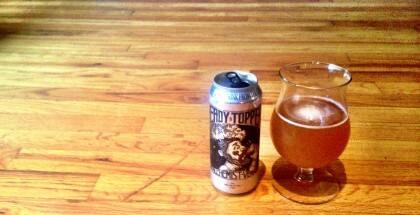 Now let’s get to this week’s can’t miss beer events. Details: Now in its 25th year, Stout Month has become an anticipated event among locals. For the entire month of February, more than a dozen taps at all five Mountain Sun locations are devoted to local versions of the rich, thick and dark ale. Details: We’ll have 8 sour taps rotating all month long! 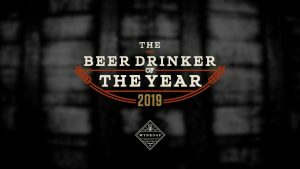 Sours from Russian River Brewing Company, Firestone Walker Brewing Co., WeldWerks Brewing Company, Crooked Stave Artisan Beer Project, and many more! Details: Limited amounts released so get ’em while the gettin’ is good! Sat, Feb 9: Chocolate Mint – Cookie Pairing Exclusive! Details: #travelingonebarrelwedensday is getting pretty proper these days. 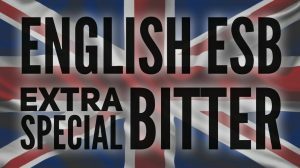 Chain Reaction Brewing Company is hitting hard with this slightly aggressive but balanced #EnglishESB. Despite it’s name, ESB’s are not as bitter you think. You’ll find toasty/fruity malt notes with more hop aroma than hop bitters in this classic English brew! Hurry up for this beer, it will go quick! 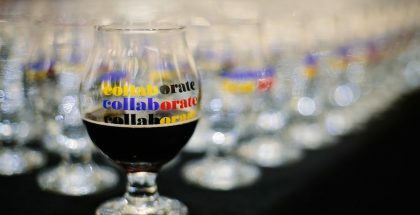 In support of our community’s schools, Factotum Brewhouse will be both treating Denver Classroom Teachers Association – DCTA members and ALSO raising money to donate to the Association. In the taproom, ALL patrons who purchase a full pour in the taproom will receive a chip. That chip is good for EITHER a $1 donation to DCTA OR a FREE $5-7 Factotum Brewhouse beer. We want to simultaneously support the teachers who are on tight budgets but also give patrons the opportunity to drink and donate if they choose. Mile High Cajun Food Truck will be at the taproom offering discounted meals to those with a DPS work badge! Details: Join us Wednesday at 5:00 PM for our collaboration tapping and tap takeover at First Draft Denver! We’re releasing The First Sojourner, a Squarrel Square Barrel Company Barrel-Aged Tequila Sour with pear, cardamom & rosemary. We’re also tapping our Basil IPA, Cantaloupe Saison and Mexican Lager. See you there! All events FREE to attend! The festivities will kick off on Friday, February 8th, with a special night of music featuring Chris Fogal and Cameron Hawk of The Gamits and a headlining performance from Joey Cape of legendary punk group Lagwagon. On Saturday, February 9th, join Ratio at Noon for a limited double bottle release to commemorate our 4th Anniversary. Continuing off of the popularity of this year’s Genius Wizard Imperial Stout releases, we’ve saved our Genius Wizard Grand Cru for a most monumental occasion. Genius Wizard Grand Cru is 24-month barrel-aged version of our colossal, crepuscular, Imperial Stout, with rich balanced notes of cocoa and fudge. Additionally, we’re excited to share that for the first time since our first anniversary, we’ll be re-releasing Wild in the Streets, a funky nuanced Wild Saison aged in red wine barrels. Both bottles will receive a limited release when we open at Noon. Then Saturday evening we welcome LA pop-punk outfit, Spanish Love Songs to close out a monster weekend of music with Denver’s own JSR! On Sunday, February 11th, we’ll ease back into polite society opening early at 11am with a Hangover Brunch from el Camino Community Tavern including breakfast burritos and Bloody Mary Beers. Join Ratio Beerworks in throwing the brewery doors open for a weekend of ROCK and RATIO, as we share a slice of what we’ve accomplished over the years! We couldn’t be more appreciative of our community and all our supporters and can’t wait to share this three-day celebration with friends old and new. Cheers to 4-Years! All events are free to attend. It’s going to be an anniversary to remember! Details: We’re throwing it way back with the release of two classically inspired brews! • Zwicky P – Zwickel Pilsner. Zwicky P is an ultra fluffy, thirst-quenching 5% ABV Pilsner-style lager with flavor characteristics reminiscent of honey and white grape. “Zwickel”, the term for a port to sample beer, stylistically refers to the German process of serving bier young, unfiltered, unpasteurized and with a pronounced yeast profile often lost during the multiple-month cold maturation process characteristic for modern lagers. Like brewers sampling directly from the fermenter, Zwicky P is meant to be consumed by the litre! • The Heirloom – a Spelt IPA brewed in collaboration with Denver Milk Market*. This IPA contains a heavy dose of spelt, an heirloom wheat cultivar that dates back to the Neolithic period and was used by the Sumerians, whom we believe to be the world’s first brewers. Spelt, a favorite expressive yeast strain, and fruit-bursting hop bill of Amarillo, El Dorado, and Simcoe team up to provide a hazy IPA with notes of orange, lemon zest, apricot and mango. This smooth, easy drinking ale is designed to crush first and ask questions later… followed by repeated crushing! Both beers will be released Friday, February 8th at 12pm! Crowlers and Growlers will also be offered in our taproom. *Please note The Heirloom will only be offered in our Broomfield Taproom & at Denver Milk Market. 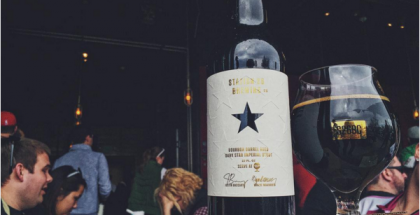 Details: Join us for the special release of Cocoa Cream Graham Cracker Grand. Both taprooms will be tapping this new release, and we’ll have limited bombers available. 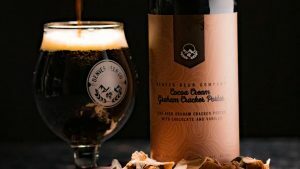 This robust version of our award-winning Graham Cracker Porter kicks it up a notch with loads of delightful vanilla, oak, and chocolate flavors. Sweet and dessert-like with a smooth, silky creaminess, the balance of chocolate and vanilla pair perfectly with the Graham Cracker crust finish. We’ll be tapping this delicious beer and will have bombers available on Saturday, February 9th at both taprooms. You can find it in liquor stores throughout Colorado starting Monday, February 4th. Details: Come get your Beta Carotene On! – Over 60 pounds of carrots, pounds of raisins and brown sugar went in this batch. We will be adding a special topping to the beer served over the bar. Music from Marshy Roots on Thursday Jan. 31st and Vintage Ski gear for sale all weekend from Retro Colorado. It’s a party Ya’ll! Details: “Same Same, But Different” a Boysenberry Milkshake IPA Release Party this going down this Saturday at 12 noon! Only 250 crowlers available and also on tap. Vanilla and Boysenberry purée in an amazing New England IPA. You can’t go wrong. If you liked our Zodiac Boysenberry sour you will absolutely love this. same same but different;) see you then! Details: It wouldn’t be a true Ratio Anniversary without some special new beers to cheers to 4 years. In honor of our 4th anniversary, we’re busting out the big guns with a pair of our most special bottle releases to date as well as the debut of a new Double IPA on draft. Continuing off of the acclaim of this year’s Genius Wizard Imperial Stout releases, Ratio is excited to share the limited release of Genius Wizard Grand Cru, a 24-month barrel-aged version of the colossal Imperial Stout, with rich balanced notes of cocoa and fudge. We’re also excited to announce the release of Wild in the Streets, a funky, Wild Saison aged in red wine barrels with notes of vanilla, oak, and ripe pear with an underlying dry tannic profile derived from the barrel. Both bottles will be available in the 350ML format to-go when the brewery opens at Noon. And just for good measure, we’ll also be debuting the release of Dimed Out, a completely new juicy Double IPA featuring Jarrylo, Citra, and Centennial hops and a double dry-hop featuring Denali & Citra, and Mosaic. 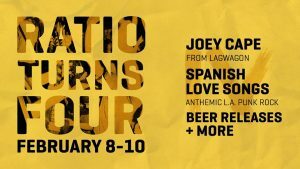 Join Ratio Beerworks for the full Ratio Beerworks 4 Year Anniversary Weekend celebration featuring performances from Joey Cape of Lagwagon and LA’s anthemic punk outfit, Spanish Love Songs. All events are FREE to attend, no tickets required. Details: Join us on February 9th as we tap several beers from some of the OG whales of craft beer. These are the beers that you used to wait in line for and still love. Let’s turn back the clock and give a nod to the beers that helped the industry become what it is today. Details: This will be a HUGE release party with our 1st stove pipe can releases (19.2oz). 4 Barrel Aged variants of 180 gram (375ml). More details coming soon on the variants. Details: Our 4th annual Beer and Cupcake pairing will be our best yet! We have worked with Cake Crumbs Bakery & Cafe to develop so many amazing new pairings. 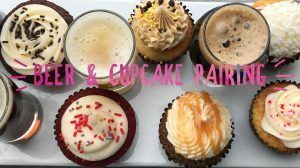 New beers, new cupcakes, and a few old favorites. Pairings will be full pour beers and full size cupcakes. Details to be announced Feb. 1st. Details: The Bus Loop is back monthly for the whole winter. We’ve added themes and will have two buses running continuously between Little Machine, Joyride, Zuni Street and a fourth guest brewery each month. 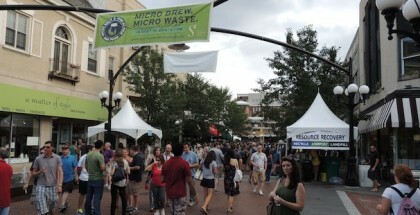 Start at whichever brewery you choose and ride the loop all day for only $5. 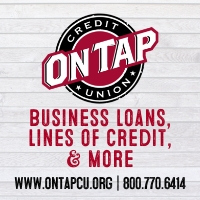 Complete the loop at all 4 breweries and get a coupon for a free beer, at the brewery of your choice, on your next visit. Tickets can be purchased at your starting brewery on the day of the event. 21+ only on the bus. Details: Beer, bluegrass, and barbecue. A killer combination. That’s right – Turn-In BBQ is making their return to Bluegrass Brunch on Sunday, February 10. Crooked Cannon is on the bill for ~3 hours of bluegrass music on the patio. Our heated tent will keep everyone moving and grooving in case of cold or inclement weather. So no worries there. Just bring yourselves, your appetites, your kids or dogs if you wish, and as always, your love of good beer. We’ve got you covered. 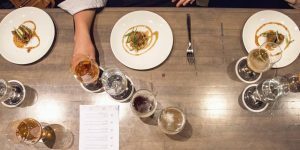 Details: Tickets on sale now for our next Five Course Beer Pairing Dinner! Join us for our Winter version with five delicious courses of food paired with five of our beers. Pairings to be announced. Details:Join us every Sunday from 4-6 p.m. for a bluegrass jam in our taproom. Bring your own instrument to join the jam, sing along or just listen in. Everyone is welcomed and encouraged to participate!